Released on Jan. 26, Migos’ third studio album, “Culture II,” is a 24-track trap epic. The group’s usual swagger comes through in their story over the unique, bouncy beats they became famous for curating. Migos is comprised of Quavo, Offset and Takeoff. They rap about the drug game, jewelry and their throne at the top of the rap industry like pop stars sing about love, jealousy and self-importance. In the sequel to platinum album, “Culture,” Migos begin “Culture II” by promising that they will continue to elevate the culture as they become more successful. Whether the culture they are referring to is the “trap” culture or American culture, in general, is unclear. But Migos isn’t afraid to suggest they are doing it for the latter. “Supastars” is a testament to the group’s lavish and crazy lifestyle over a moody melody and a banging bass. The next song, “Narcos,” has a heavy Latin influence musically and Migos pay tribute to a legend, the king of drug lords, Pablo Escobar. In the chorus of this song, Quavo says that this is “real rap, no mumble.” And while critics of trap music are harsh against “mumble” rappers, Migos has done well to improve and separate their intonations from this label. After this first triplet of songs, the tracks begin to lose flavor in the production and delivery. The next track, “BBO,” features a hook by guest artist 21 Savage. While the song was co-produced by Kanye West, the influence of his production on this song is as faint as West’s presence in hip-hop as of late. The bouncy, hollow synths on the B Section of “BBO” has just a scent of Kanye’s style. “Culture II” is full of star-studded features from guests such as Drake, Travis Scott, Nicki Minaj and Cardi B. “Walk It Talk It” contains one of Migos’ most uninspired hooks, while Drake provides the most energized guest verses on the album. As in line with his style, Drake ridicules an unnamed rapper while boasting over the prominence of both of their brands. The middle of the album is full of forgettable songs. If Migos had made an album out of the middle tracks of “Culture II,” then there would be two albums: one you could just ignore and one you could play on repeat. 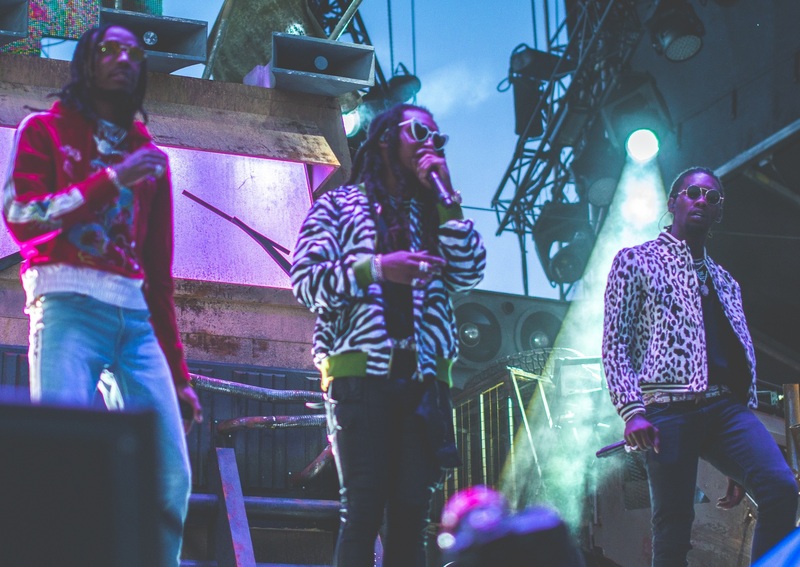 Notable songs from the middle to end of the album are the two singles “MotorSport” and “Stir Fry,” “Notice Me” featuring Post Malone and “Too Playa” featuring a sultry saxophone and 2 Chainz. The direction Migos take artistically is seemingly in the hands of their unofficial frontman. Quavo produced 10 tracks on the album and is the only member of the trio listed as an executive producer. His verses are the opening in 16 of 24 tracks. As with any artist or group that makes songs about success, Migos haven’t discovered how to diversify their sound now that they have made it to the top of their field. At this moment they have no reason to do anything other than rap about all of their drugs, money and jewelry. The hip-hop community expects this from Migos at the highest level. The only question is: will they have enough style and charisma to continue to make hits in the long run with these expectations? But with most trap music, if the bass is set high enough and the volume is loud enough, fans of the genre will be bouncing around at the production’s constant movement.